Sneha Naidu, Sulakshana Shridhar Baliga, Harika Yadav, Maheshwar D Mallapur. Background: In India due to urbanization and various other factors, students are less focused on eating healthy and tend to eat for various other reasons such as when they are bored, depressed, or for the sake of going out with friends. Poor eating habits such as binge eating is a major public health concern among college students who experience transition into university life and has led to increased risk of obesity and other diseases. Objective: To determine the psychological factors affecting the dietary patterns of adolescents. 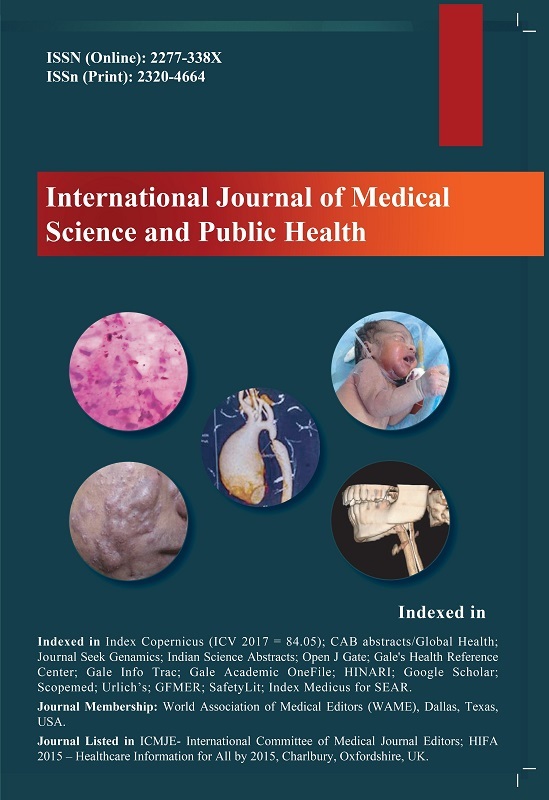 Materials and Methods: Cross-sectional study conducted among 400 college going adolescents (17–19 years) residing in urban area of Belagavi. Questions were selected from the validated compulsive eating scale (CES) that was used to measure uncontrolled eating patterns. Result: Of the total number of students 18.4% were seen to eat when they feel lonely, 40.8% completely stuffed themselves with food, 40.8% ate when they felt bored. While, 64.5% of students said that they never ate without knowing how much they ate or the taste of food, 35.5% of them still ate without knowing the taste of the food. 23.5% of the participants said that they ate till their stomachs hurt. Conclusion: It was seen in this study that various psychological factors affected a large number of students eating habits. Hence it is important to provide them health education and formulate strategies which will address social and psychological factors which will affect their eating pattern.